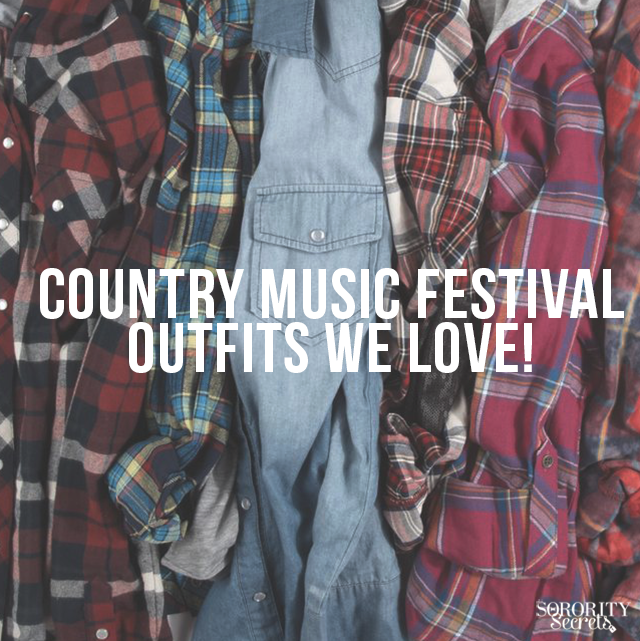 Whether its Country Thunder, Watershed, Stage Coach, or even CMA Music Festival, you name it, country music is in the summer air! It doesn’t matter if you live and breathe country or Luke Bryan’s “Sorority Girl” is the only song on your country playlist, we all have a little room for some country. Former TSS Intern, Audree is not the author of her own blog Simply Audree Kate and she is the expert when it comes to country music festival outfits. Therefore, we asked her to give us a breakdown on the perfect pieces to snag for your next concert. Check out her suggestions below! Trade in your middle school jean skirt for a high-waisted acid-wash chambray skater skirt and pair it with a lace bustier or crop top. Accessorize with cute boots, a statement necklace, shades and headband. Edgier modern outfits are a common theme in country music right now and are a great alternative for a casual look! Pair cut offs with a loose tank, cowboy hat, boots and chunky jewelry such as a cuff or a ring. My favorite country combination is a floral sundress, leather belt, and boots. Turquoise pairs nicely with every color so don’t be afraid to color block and mix prints! For my hometown’s summer rodeo I made my outfit! I copied the skirt outline from one of my skirts, sewed the ends and added an elastic band and had a simple skater skirt in a few minutes. Next, I took 1 ½ yards or floral red fabric from a local fabric store and tied a giant bow as a bandeau on my chest. I tucked in the edges in the band and had a super cheap and cute bow bandeau! Lace, floral and fringe are hot season trends and work perfectly for a country inspired outfit.